Australian company Studio Proper claims its PA1 is the world's first dual Bluetooth pairing wall mountable speaker system. Studio Proper, the Australian brand behind the popular Wallee mounting system for smartphones and tablets, is dipping its hat into the Bluetooth audio ring. The company claims its Proper Audio PA1 is the world's first dual Bluetooth pairing wall mountable speaker system. The PA1 claims to be an affordable, high quality home audio system but its big point of difference to the wealth of Bluetooth speakers already on the market is a flexible mounting system. The rear of each PA1 speaker contains Studio Proper's modular mounting system called Wallee, so the device can be used with a number of pre-existing, universal mount disks, including a range of wall and table stands. Studio Proper says the PA1 can easily be moved from one Wallee mount to another with a 'turn and click' motion, but the speaker has primarily been designed to remain permanently installed. Unfortunately, options for wall mounting the speaker will be a little limited as the PA1 is wired and requires mains power. The company says opting for a wired design was a decision made to boost power and audio quality, claiming the wiring allows the PA1 to power larger drivers for better sound quality. The power cable of the PA1 is positioned towards the back of the speaker, allowing it to be hidden directly through the wall cavity for users who wish to permanently install it in one location. The power cable port has also been designed to accept a right angled DC cable, though this will be sold as an optional accessory. The PA1 speaker includes dual Bluetooth stereo pairing, also known as True Wireless Stereo. This will allow users to pair two PA1's together for true left and right channel stereo sound. Studio Proper says two speakers can be paired side-by-side or at opposing ends of the room, though they can't be placed more than 10 meters apart in this configuration. The PA1 connects wirelessly to any Bluetooth enabled device. It will remember up to five devices and will automatically pair to a device in range, and the single power button on the back of the speaker also handles pairing. 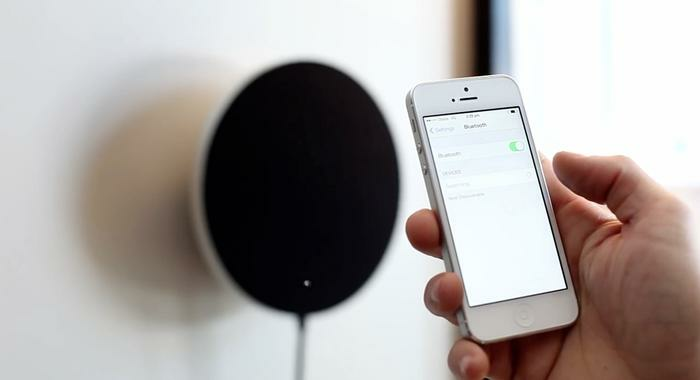 The PA1 is not compatible with Apple's AirPlay system, which allows users to stream music wirelessly from an iOS device. 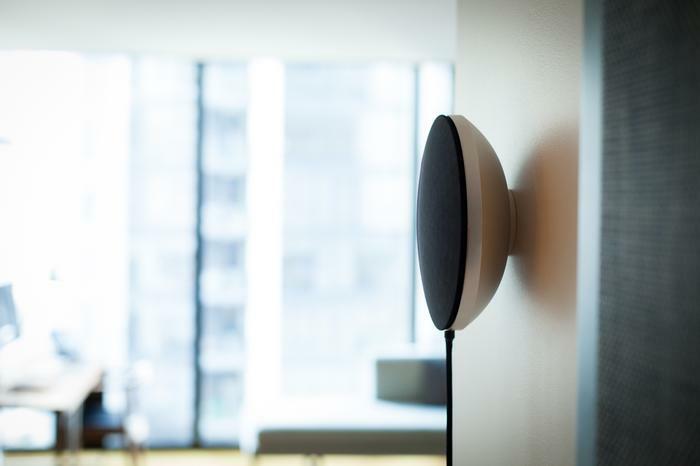 Studio Proper says it opted for Bluetooth over AirPlay "to keep the speaker OS agnostic, and to avoid Airplay licensing fees." The PA1 speaker uses a three driver arrangement to provide full stereo sound, consisting of one 52mm tweeter and two 78mm, 20W stereo drivers. 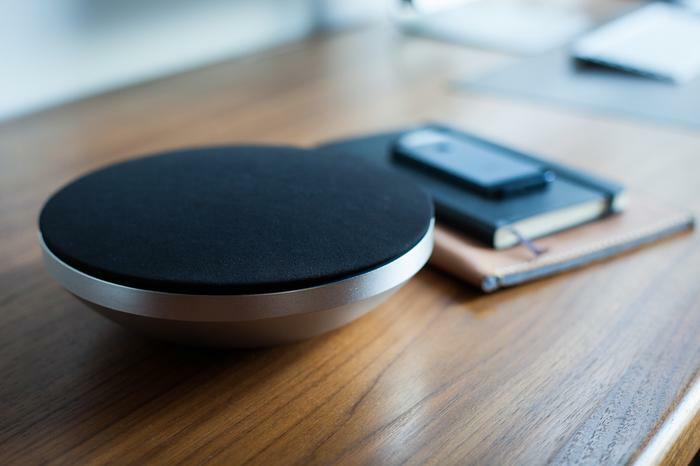 The speaker casing itself is made from machined aluminum unibody and has an anodized finish, while interchangeable, fabric covers will be available in black and white to match modern home decor. The Studio Proper PA1 is expected to be available in Australia in April 2014, though the device is currently listed on crowdfunding platform Kickstarter.